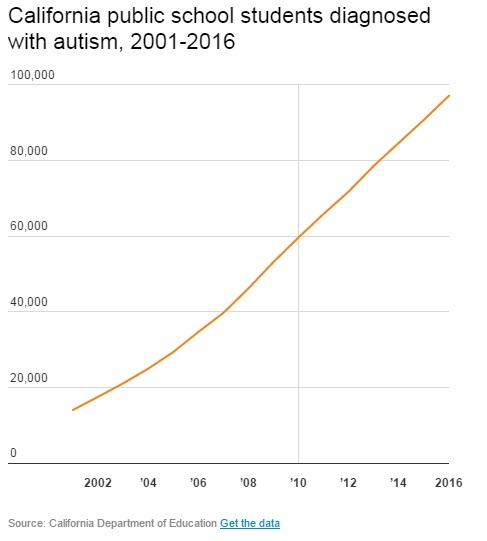 AUTISM RATES IN CALIFORNIA SCHOOLS JUMPED AS MUCH AS 17% AMONG KINDERGARTNERS SINCE MANDATORY VACCINE BILL WAS SIGNED | "Global Possibilities"
Could the increased rates be contributing even partly to a stunningly quick rise in autism rates? Let’s examine. 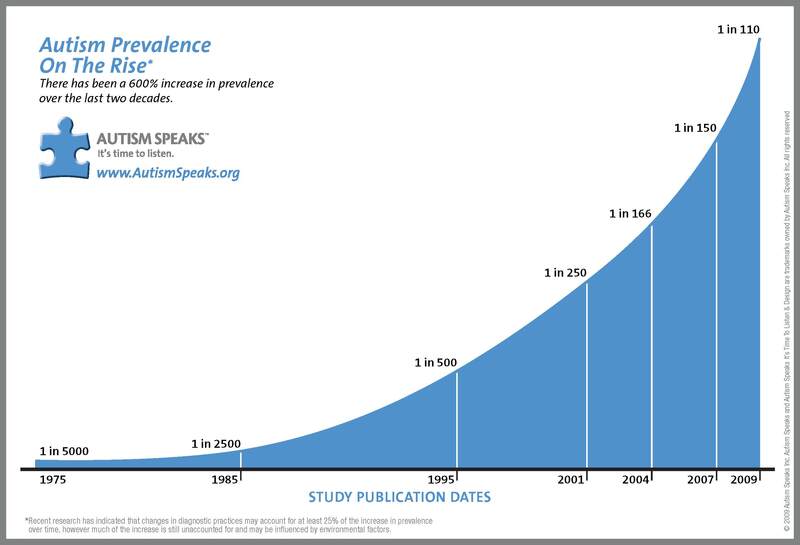 Looking at the nationwide data shown above, many doctors are predicting that the autism rates will keep rising. But the CDC refuses to research the potential link to vaccine additives, even after we saw (at least those of us that read alternative media sources, that is) a senior CDC scientist, Dr. William Thompson, admit that the CDC purposefully omitted important results from at least one study. Now, movies like VAXXED are coming out to spread awareness, alternative media is sharing stories of countless vaccine injured children, and even well known personalities with huge platforms like Jim Carrey are speaking out against vaccine additives. Instead of pumping the brakes a bit and reevaluating things, the pharmaceutical industry has busy been developing almost 300 new vaccines as of 2012: 170 for infectious disease, and 102 for cancers. Unlike prescription drugs, the companies cannot be held liable in court when their vaccines harm people, which may explain the new focus according to one whistleblower, Brandy Vaughan. 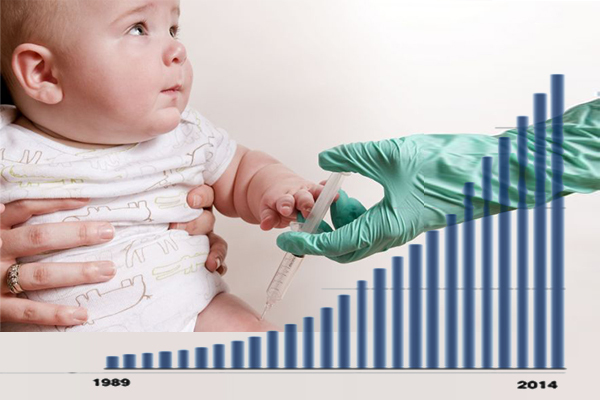 The effect on the health of the population when adding so many vaccines is difficult to predict, and even harder to track. Most of the vaccines are studied by the makers themselves, in combination with one or two on a rare occasion, but the real life effect of injecting people with large amounts vaccines in a small amount of time is not studied. The biggest concern many have, is that when mandatory vaccination laws pass, people will not be able to make a decision for themselves after analyzing the risks. Thanks to controversial laws like SB 277 in California, people are literally losing control over their own bodies. One example occurred when five-month-old Matthew Gage Downing-Powers went to the doctor in October 2013. His parents were told that he needed to catch up on his vaccinations, so he received 8 in one visit: DTaP (3 in 1), Polio, Hib, Hep B, Pneumococcal PCV and the oral Rotavirus vaccine. He passed less than two days after the visit. 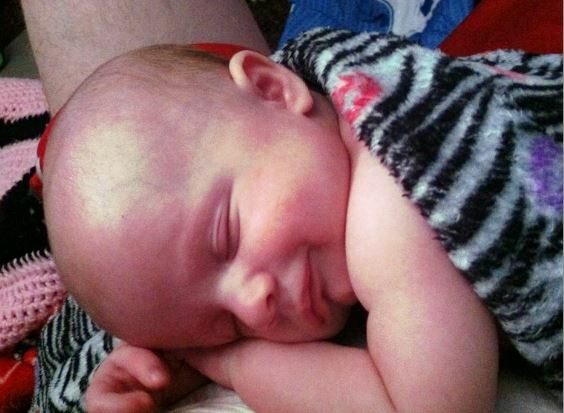 “I don’t want Matthew to die in vain because of vaccine manufacturers not doing a better job making safer vaccines, before pushing them onto unsuspecting parents and their innocent babies they view as profitable beings,” his mom writes. Matthew’s case is no longer rare, with similar tragedies occurring in many families. Many children survive, but end up being disabled for life. For example, Ryan Mojabi’s family received monetary compensation ($969,474.91) from the vaccine court after he was diagnosed with Autism Spectrum Disorder following receiving scheduled vaccinations. According to his parents, “as a cumulative result of his receipt of each and every vaccination between March 25, 2003 and February 22, 2005, Ryan has suffered . . . neuroimmunologically mediated dysfunctions in the form of asthma and ASD,” reported The Huffington Post. Mainstream media and the manufacturers insist that they are safe, but what happens when large doses of vaccines, and their toxic additives, are administered to a child all at once? Unfortunately, parents are being left in the dark, and if recent history is any indication, they may be putting their children at risk as well. If California is serious about protecting the health of its children more than profits of the pharmaceutical industry, they should prove it by addressing these concerns before it’s too late.